Smartphone With Online Shopping On The Screen Near The Cup Of Coffee On Wooden Table. Banco De Imagens Royalty Free, Ilustrações, Imagens E Banco De Imagens.. Image 77503141. 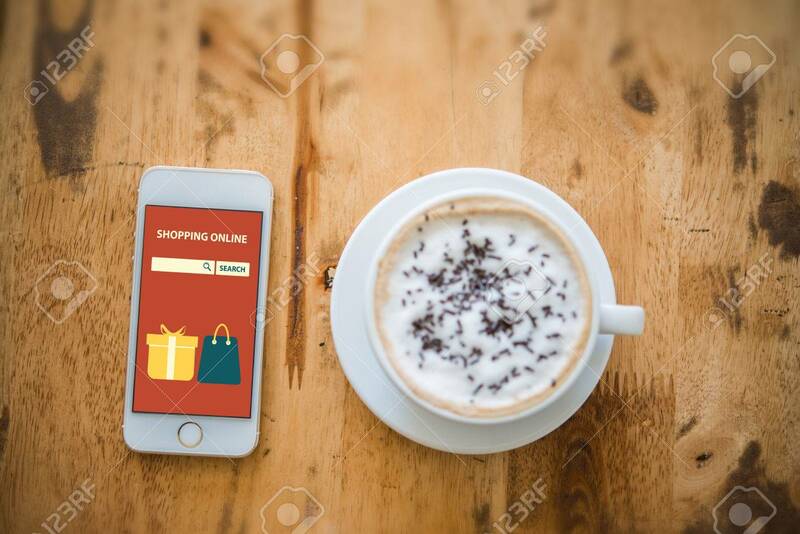 Imagens - Smartphone with online shopping on the screen near the cup of coffee on wooden table. Smartphone with online shopping on the screen near the cup of coffee on wooden table.